Stepney, Philip H.r.. "Kingfisher". The Canadian Encyclopedia, 04 March 2015, Historica Canada. https://www.thecanadianencyclopedia.ca/en/article/kingfisher. Accessed 24 April 2019. The kingfisher (Alcedinidae) is a family of robust birds, with large heads, strong, pointed bills, short tails and small feet. The kingfisher (Alcedinidae) is a family of robust birds, with large heads, strong, pointed bills, short tails and small feet. The middle and outer toes are joined together for over half their length. 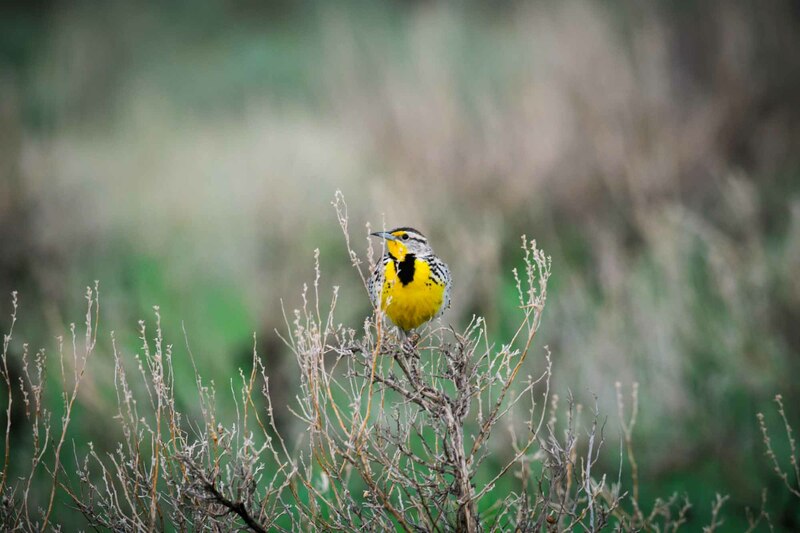 The family comprises 95 species worldwide. The only representative in Canada, the belted kingfisher (Ceryle alcyon), is 30-33 cm long, white underneath and blue grey on the back, with a large, ragged, double crest on its head. 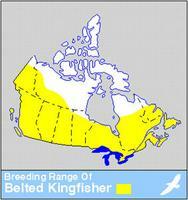 Generally, it breeds throughout Canada south of the treeline. Kingfishers perch on dead branches overlooking water, watching for minnows, frogs and large aquatic insects. They dive headfirst to capture prey, often submerging completely. Prey are returned to the perch, struck against it several times, tossed into the air and swallowed headfirst. Belted kingfishers defend feeding territories along edges of water courses. Nests are burrows, 1-3 m long, dug into dirt banks. Once the female starts incubating the 5-8 white eggs, the male feeds her on the nest. Newly hatched kingfishers intertwine into a compact mass for warmth. Burrows are often reused in subsequent years, regurgitated fish scales and bones from the previous season supplying nesting material.